Our members represent the truly diverse nature of the UK’s energy industry - from the UK’s largest energy firms to new, growing suppliers and generators, now making up over half of our membership. Our members turn renewable energy sources as well as nuclear, gas and coal into electricity for over 27 million homes and every business in Britain. Over 730,000 people in every corner of the country rely on the sector for their jobs with many of our members providing lifelong employment as well as quality apprenticeships and training for those starting their careers. British Gas is the nation’s largest energy provider. We look after our customers' worlds everyday by providing value for money, dedicated customer service, innovative energy solutions and the highest quality Home Services expertise in the country. We are an energy service company, supplying energy to our residential and business customers is central to Centrica. We have a distinctive and leading Services capability through our team of 12,000 engineers and technicians on the ground in all our geographies. Centrica has the energy expertise to deliver what our commercial and industrial customers need, including energy efficiency, flexible generation, energy management systems, and integrating future technology offerings such as battery storage. Chubu Electric Power Co. Inc. is Japan's third-largest electric power company in power generation capacity, electric energy sold, operating revenues, and total assets. Chubu Electric Power serves an area of nearly 39,000 square kilometers in five prefectures of central Japan(Chubu, in Japanese), home to some 16 million people. CLP Power operates a vertically integrated power supply business in Hong Kong, covering electricity generation, transmission and distribution, and customer service. CLP Power serves 5.8 million people in a supply area that includes Kowloon, New territories and most of the outlying islands. Associate member Deloitte provides audit, tax, consulting, and financial advisory services to public and private clients across multiple industries. In the energy sector, they provide support to generators, traders and suppliers, as well as transmission and distribution businesses across the UK. Delta-ee is a rapidly growing, dynamic and entrepreneurial research and consulting company. We are positioned at the heart of the transformation of energy markets to a more distributed, customer centric, low carbon future, and we are increasingly recognised as the leading European provider of independent expertise in our marketplace. Operating in more than 100 countries, our 16,000 professionals are dedicated to helping our customers in the maritime, oil & gas, energy and other industries to make the world safer, smarter and greener. Doosan Babcock is a specialist in the delivery of engineering, aftermarket and upgrade services to the thermal power, nuclear, oil and gas, petrochemical and process sectors. Using best-in-class technical expertise and an industry-leading project management capability, the company builds, maintains and extends the life of customer assets worldwide. E is a British owned domestic energy supplier based in Birmingham. We ensure everything is simple and straightforward for our customers. Our focus is on keeping costs down so that our customers pay less. Eaga Charitable Trust provides grant support for work that contributes to understanding and addressing the causes and effects of fuel poverty. The Trust funds policy-related research and action projects which aim to promote a sound evidence base to underpin decision-making in relation to the public's health and wellbeing and combatting fuel poverty. Ecotricity was founded in 1995 as the world's first green energy company and now supplies around 160,000 customers across the UK from a growing fleet of wind and sun parks. Ecotricity is a 'not-for¬ dividend' enterprise that, on average over the last eleven years, has invested more per customer in building new sources of green electricity than any other energy company in Britain. EDF Energy is one of the UK’s largest energy companies and the largest producer of low-carbon electricity, producing around one-fifth of the nation's electricity from its nuclear power stations, wind farms, coal and gas power stations. The company supplies over 5 million business and residential customers and is the biggest supplier of electricity by volume in Great Britain. EDF Trading is a 100% owned subsidiary of EDF, Europe’s leading electricity producer with a growing presence in the natural gas industry. EDF Trading’s headquarters are based in London and it has approximately 1,000 employees with offices in the UK, Europe, Asia, the United States and Canada. energyhelpline.com is an independent price comparison service which provides customers with fast, free and friendly advice on their best gas and electricity deal. Every month we help thousands of households and businesses to find better energy packages and pay lower bills. The Energy Switch Guarantee is a commitment that promises a speedy and safe switch from one energy provider to another. So you won’t need to worry about a thing. Energylinx is the largest specialist domestic energy price comparison company in the UK. 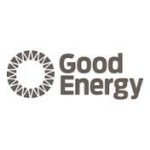 They are fully accredited to the Ofgem Confidence Code to compare energy for domestic consumers. They aim to make the process of comparing and switching energy suppliers easy and secure for customers. EnerNOC is a leading provider of cloud-based energy intelligence software (EIS) and services to utilities and enterprise customers. EnerNOC’s EIS solutions help utilities maximise business customer engagement and the value of demand-side resources, to meet demand response, energy efficiency, and operational effectiveness objectives. EnerNOC delivers actionable results for thousands of customers, and supports customer success with its world-class professional services team and 24x7 Network Operations Centre (NOC). ENGIE is a leading energy and services Group employing 17,000 people in the UK. ENGIE is using its energy and services capabilities to lead the UK’s transition towards a more secure and sustainable future, through a strategy based on investment in critical energy infrastructure, integration of its energy expertise with its broad services offer, and innovation in customer-led solutions and technologies. ESCP Europe's Research Centre for Energy Management (RCEM) builds strong links between academia, industry and government, to debate the challenges of the new energy era. Bringing together the expertise of its faculty and international associates, the objective of the RCEM is to cooperate with, and possibly assist, key industry players to facilitate the integration of managerial and technological skills. ESP Utilities Group is a leading Independent Gas Transporter (IGT) and Independent Distribution Network Operator (IDNO). We own and operate networks throughout the country, adopting them from GIRS and NERS accredited companies as they are built. We also work closely with Social Landlords, extending gas networks to homes and communities which have previously been unable to benefit from a gas connection. Today’s energy environment is characterised by persistent policy and regulatory change in response to an evolving resource and political landscape. EY’s Global Power & Utilities team brings together over 4,400 professionals with deep technical experience in providing assurance, tax, transaction and advisory services specifically in the energy sector. Our team works to anticipate market trends and challenges, identify their implications and hence develop points of view and shape responses to them – our aim is to help our clients achieve their ambitions and compete more effectively in an ever changing world. Fichtner is one of the world's leading independent engineering consultancy firms. Founded in 1922, we have over 2,000 staff, delivering technical advisory and project management services in more than 100 countries. Fichtner offers a unique combination of technical, contractual and financial skills, with a core expertise in process, combustion and thermal cycle engineering. We have a proven capability of identifying, mitigating and managing the risks associated with complex process and power generation projects. We’re Green Network Energy, part of a vibrant and growing Italian energy company, we’re already over there and now we’re over here. Founded in 2003 by two ambitious entrepreneurs, the company has grown successfully, focusing on customers and giving them more choice to manage their energy needs. The challenge might be a bit different, but the aim is the same, to offer customers better service using our passion, enthusiasm, and experience. Herbert Smith Freehills has one of the world's leading energy practices, bringing together 300 energy specialists across our 27 offices, to meet all your legal services needs globally. Highview Power’s cryogenic energy storage technology makes use of a freely available resource – air – which is cooled and stored as a liquid and then converted back to a gas to generate energy that powers turbines and produces electricity. It is the only long-duration energy storage solution available today that offers multiple gigawatt hours of storage, is scalable with no size limitations or geographic constraints, and produces zero emissions. 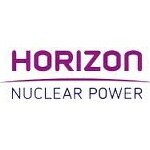 Horizon Nuclear Power was formed in January 2009 with the aim of developing new nuclear power station capacity to help meet the UK’s need for stable and sustainable low carbon energy. Low Carbon is a renewable energy and infrastructure investor and asset manager with an ethos of making positive contributions to both climate change and energy systems. Low Carbon has invested in, developed, constructed and operated a range of energy and infrastructure assets including solar PV, onshore wind, battery storage, gas CHP, anaerobic digestion and concentrated solar power. Manx Utilities is a £100m turnover business, responsible for providing its customers with safe, reliable, efficient and economic supplies of electricity, natural gas and clean water; as well as processing waste water, and delivering flood risk management services. In addition to operating a successful energy trading enterprise, Manx Utilities has two subsidiary businesses specifically focussed on commercial telecommunications and subsea cable management. Marble Power is part of the GFG Alliance and was originally set up in 2013 to supply the Group’s industrial assets including Liberty House who specialise in the manufacture and processing of Steel and Aluminium. We now also successfully supply over 1TWh of energy to UK industry and Businesses. Marubeni Europower is a UK subsidiary of Marubeni Corporation (HQ is in Japan) and responsible for power/heat business in Europe. Marubeni owns SmartestEnergy, a leading power aggregation & supply company in the UK as well as 40GW of gross power generation assets globally including UK. Marubeni will offer strategic investment and/or new solutions supporting the energy transition in the UK, leveraging our global network and synergy with our existing assets. National Grid owns and operates energy infrastructure in the UK and US. In Great Britain, they operate the systems that deliver gas and electricity across the entire country. They own the high voltage electricity transmission system in England and Wales and the gas transmission system throughout Great Britain. Their low pressure gas distribution business, distribute gas to approximately eleven million customers. Nuvve is a San Diego-based company with a mission to lower the cost of electric vehicle ownership while supporting the integration of renewable energy sources including solar and wind. Our proprietary vehicle-to-grid (V2G) technology – Nuvve’s Grid Integrated Vehicle (GIVeTM) platform – was first invented in 1996 by our Chief Technology Officer, Professor Willett Kempton, at the University of Delaware. Since our founding in 2010, Nuvve has been responsible for successful V2G projects on five continents and is deploying commercial services worldwide. The Octopus Group has 150,000 customers who have invested more than £7 billion. Our approach is simple – find out what’s broken and then work out the way it should be. We’re known for innovation, doing the simple things well and for customer service that goes the extra mile. This allows us to make a difference, both to our customers and to the world around us. Octopus Energy, Octopus Healthcare, Octopus Labs, Octopus Property, Octopus Investments and Octopus Ventures are all part of Octopus Group. Opus Energy is the UK’s leading independent business energy supplier. Powering more than 230,000 business locations, the company also purchases power from over 1,750 renewable generators. Opus Energy prides itself on superior service, ranking first for SME customer service with Datamonitor and receiving the Customer First UK accreditation in 2014. Osaka Gas is a vertically integrated energy utility in Japan and an experienced strategic investor with a strong international focus on all sectors of the oil and gas industry. Osaka Gas UK is the main hub in Europe, from which we manage current and potential investments in the gas and power sectors across Europe and the Middle East. Peak Gen Power was formed in 2010 and is headed up by CEO Mark Draper. The company has developed, owns and operates around 200 MW of distributed super peaking generation and battery storage primarily in southern England and Wales. The main focus of the company is the provision of services to the system operator. Established in the early 1980s, RES is now one of the largest independent renewable energy developers in the UK and across the globe. In the UK, RES is active in a range of technologies including onshore and offshore wind, solar, wave and tidal as well as enabling technologies such as energy storage and demand side management. Ruddle Merz is one the UK’s most experienced ratings advisors and has an impressive track record in helping businesses identify whether their rateable value is correct. We help businesses manage change, such as conducting rent reviews and with rates bills for unoccupied business space. Sembcorp is an integrated energy business answering the UK’s complex energy needs through a variety of low carbon, reliable, and fast generating assets. SENER is a private engineering and technology group founded in 1959 that holds a long track record of technological projects and international experience. With a workforce of near 6,000 professionals in four continents, SENER develops Engineering & Construction projects in Aerospace, Infrastructures and Transport, Power, Oil & Gas, and Marine. Power, Oil & Gas is one of SENER’s most successful businesses. The company is an expert in turnkey projects for power plants, thermosolar plants, liquefied natural gas storage and regasification terminals and underground gas storage, refining units, petrochemical and plastics plants, and municipal, agricultural, or industrial solid waste regeneration or treatment plants. Covering all project phases, SENER can adapt its services to the specific needs of the client. Statera Energy is a UK based fully integrated developer, owner and operator of flexible infrastructure which includes both battery energy storage and high efficiency gas reciprocating engines. Triton Power is a private independent power generating company with a capacity of 1.85GW. We provide power to the UK wholesale electricity market, playing an important role in security of supply when renewable generation does not deliver, and process steam to local customers through our UK power stations.